Because some of you asked me more questions about astrology terms I am starting to post answers in more then one article. Today you get the first one. Q: What is a rising sign or Ascendant? A: This is the zodiac sign that is rising on the eastern horizon at the time of birth. This is why time of birth is so important, because without it the Ascendant cannot be calculated and the chart is not accurate. Q: What is time of birth? A: Time of birth due to astrological point of view it means: day, month, year, location (city and country) and the exact hour and minute of birth. For example: May 5th 1980, New York, United Stated of America, 22:45. Q: What does it mean when a planet is in a sign? A: When an astrologer says that Mercury is in Aquarius or Mars is in Aries this means that at a particular moment in time, that planet is transiting a particular zodiac sign. Q: What is a house? A: A chart is divided is 12 parts called houses and they represent various aspects of your life. There are many house systems that we can use, each of them has its features. If you start to study astrology, the best way is to experiment by using more systems for each interpretation. For example, the most used house systems are: Placidus, Koch, Porphyry, and Whole Signs. In last five years I am using only Whole Signs because for my point of view is the most useful and helpful, but using in paralel the theory and concepts of Hellenistic Astrology. To understand the Whole Signs house system and Hellenistic Astrology I prepared for you an Online Hellenistic Astrology Lectures for beginners, in 12 sessions. This course is ideal for people with little knowledge in astrology but who want to enrich their understanding in this ancient science. You can start anytime and study taking in account your personal program, there is no pressure of time. You study when you have time and I am available for you when you need me. You are able to attend to advanced courses in Hellenistic astrology because you have already strong skills learnt from this one. Q: Why for the same person the interpretations made my each astrologer have different approach? A: It is simple. 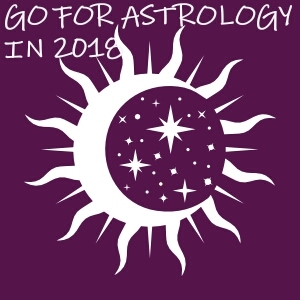 Because astrologers have different opinions and ways of interpreting due to their training, experience, specializations (medical, predictions, mundane and so on), the type of astrology (hellenistic astrology, indian astrology, western astrology and so on). The most important is to find an astrologer that are trying to explain and interpret your chart in a simple and clear way. Q: Why two persons with the same Sun Sign are so different? A: Each of you are unique, as your fingerprint is. Even two persons are born on the same date and Sun is in the same position, the rest of the planets will not be in the same positions (signs and houses). In this the persons are so different.